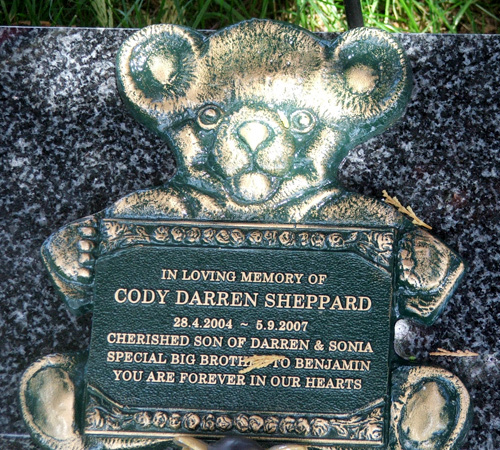 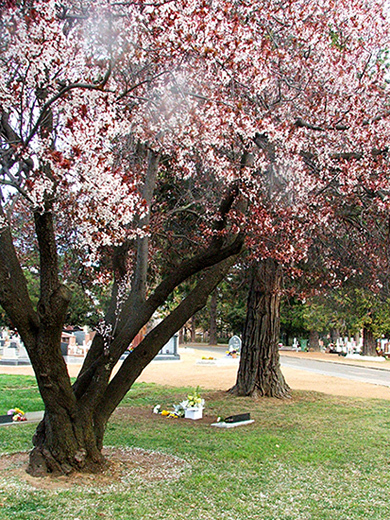 One of Dylan and Cody's special places is at the Woden Cemetery. 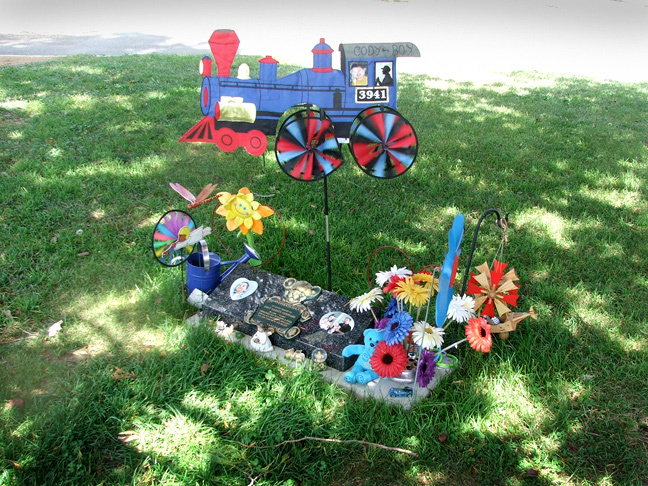 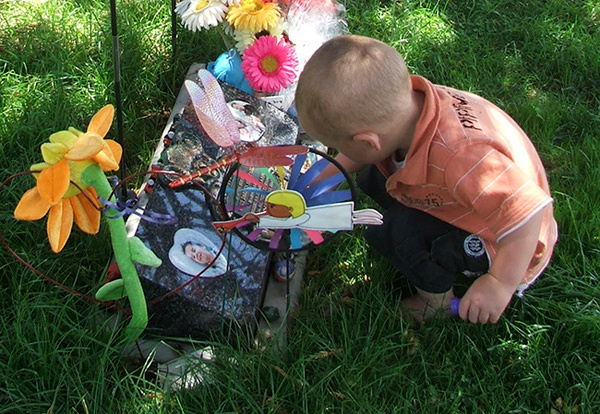 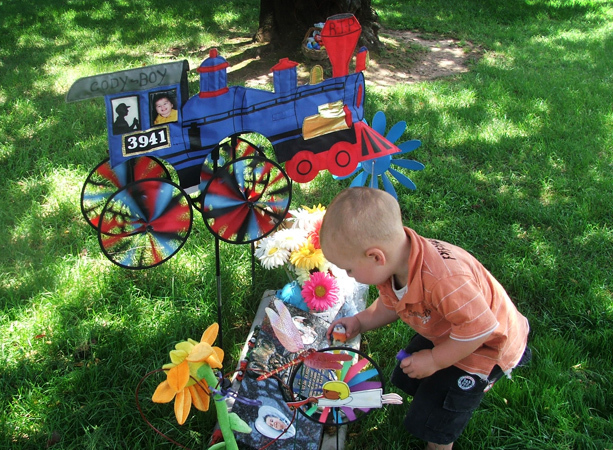 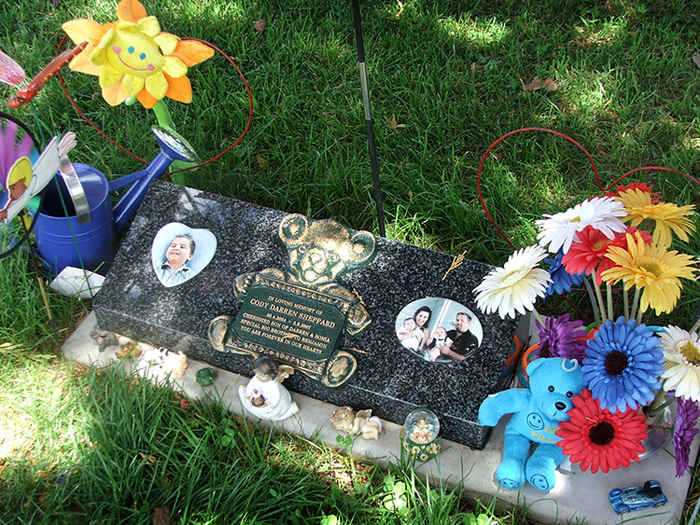 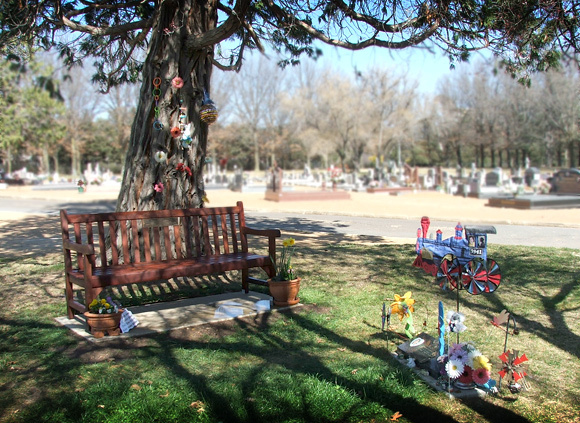 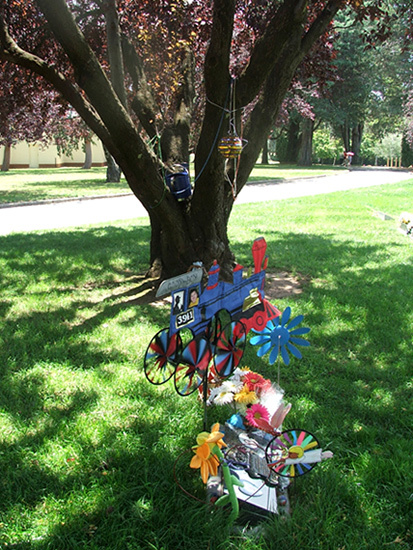 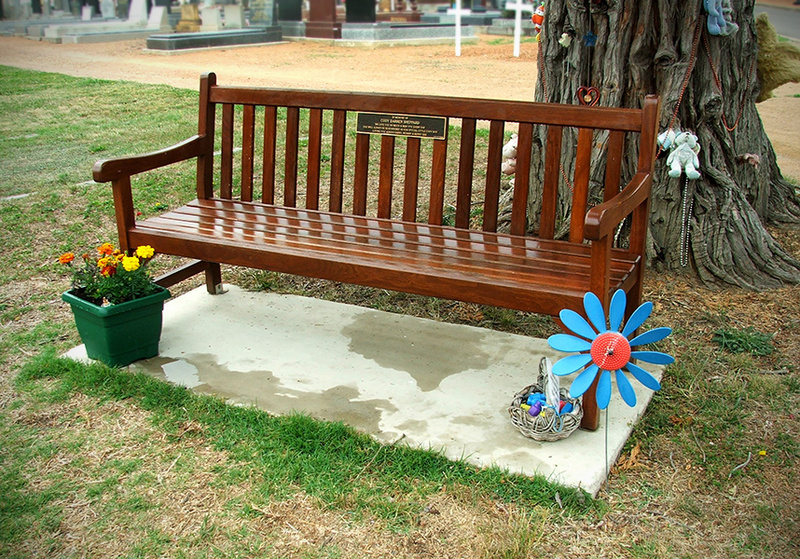 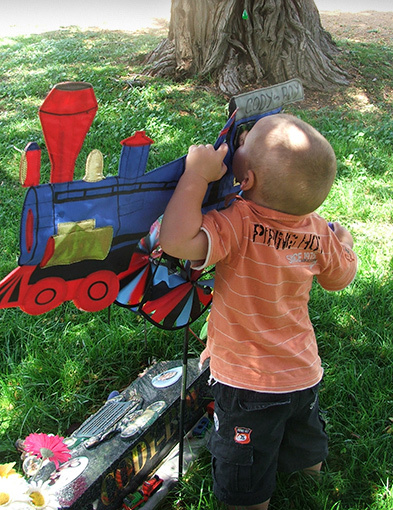 Darren and Sonia have made the gravesite beautiful and colourful which is what Dylan and Cody would have wanted. 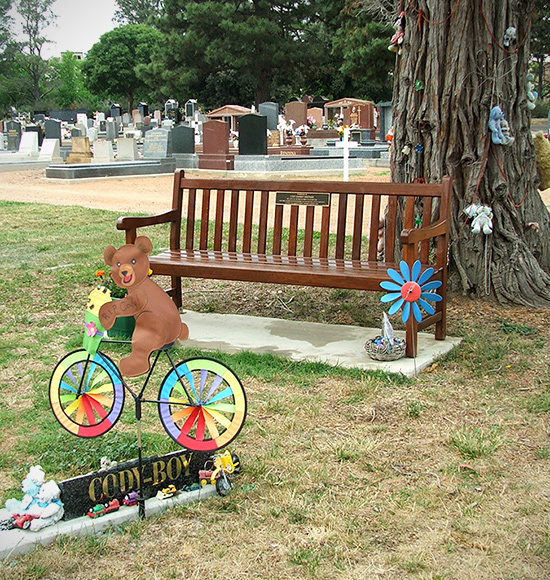 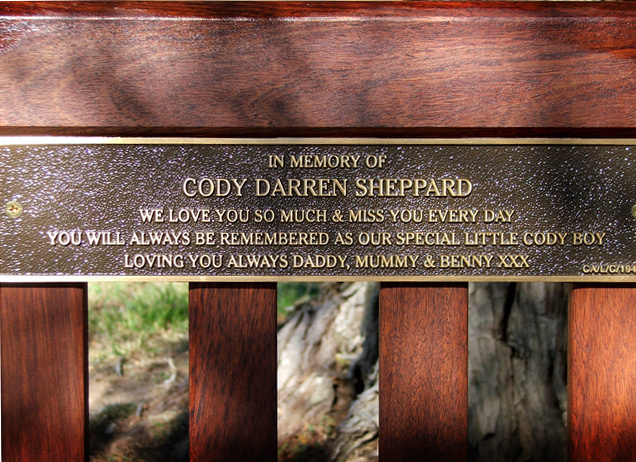 There are bubbles to blow for Dylan and Cody and a seat for visitors to sit on whilst they reflect on Dylan and Cody's life and remember the little champions that they were. 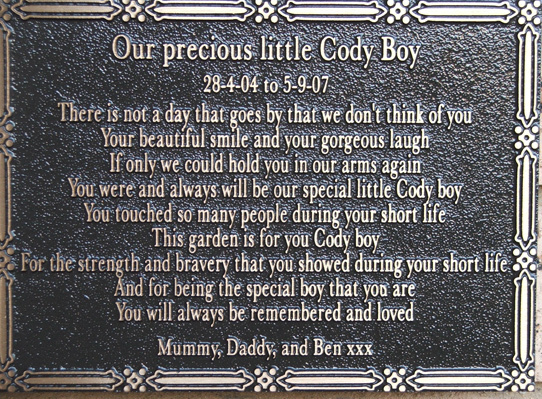 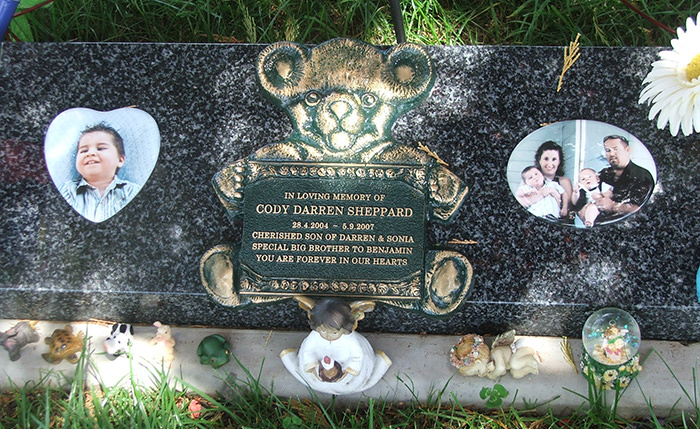 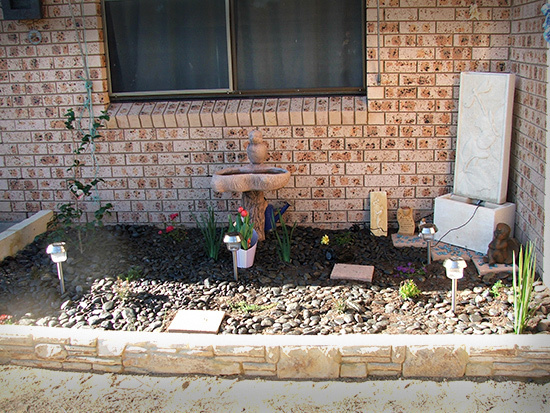 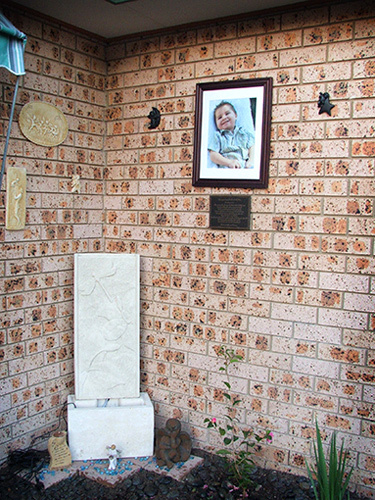 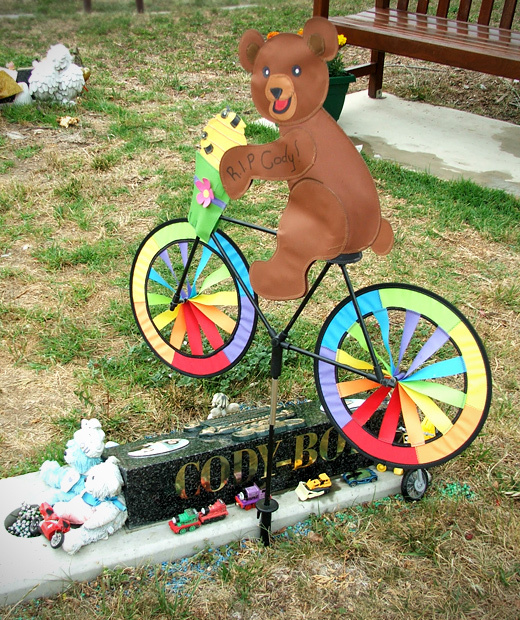 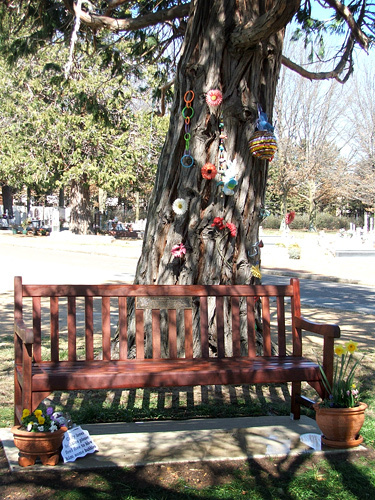 Darren and Sonia have also established a memorial garden at their home where they can reflect on Dylan and Cody's life.